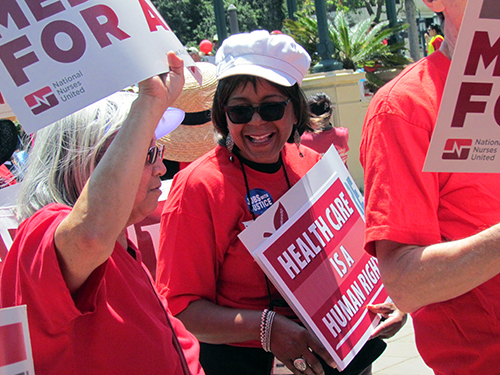 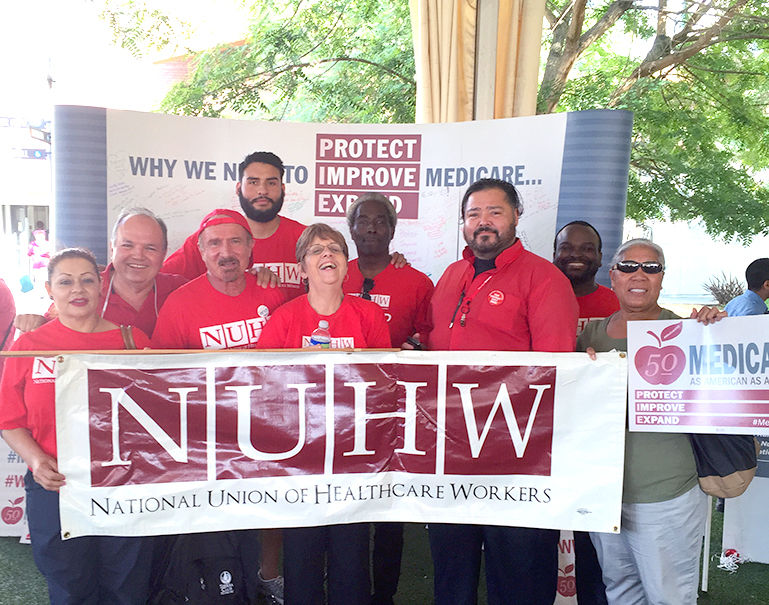 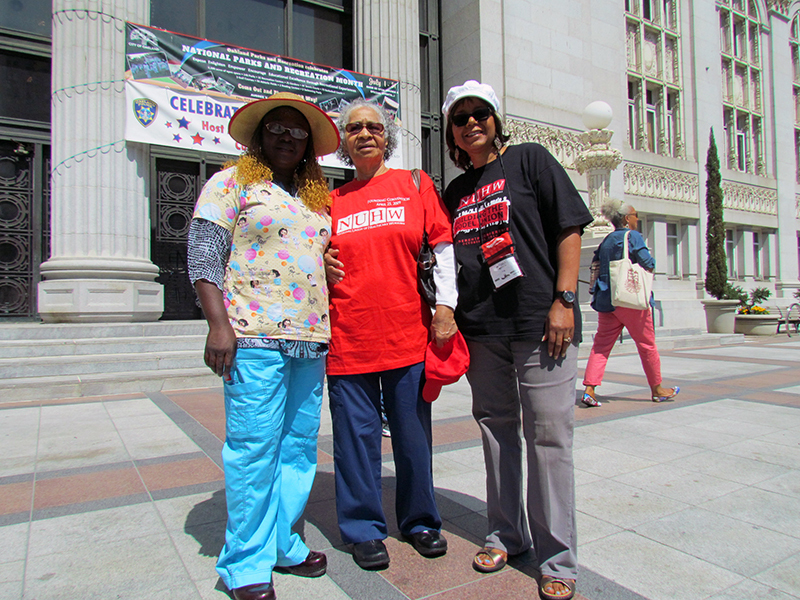 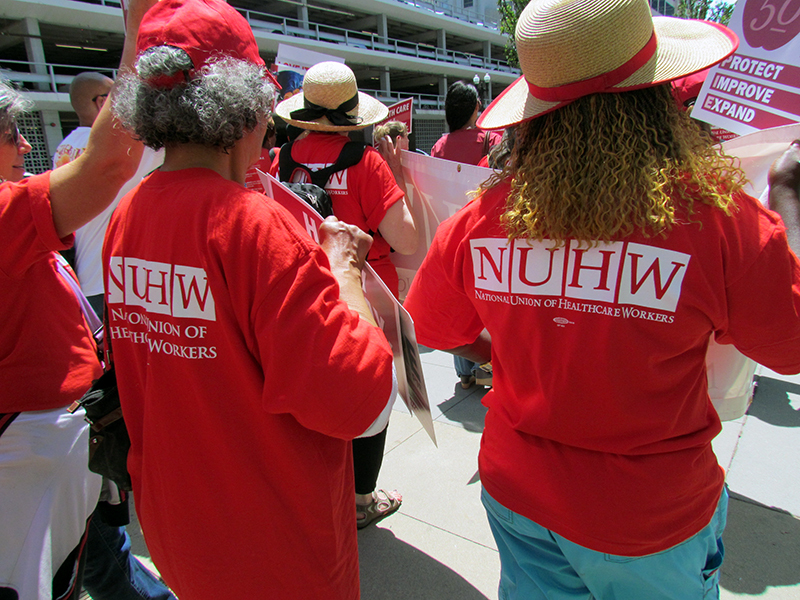 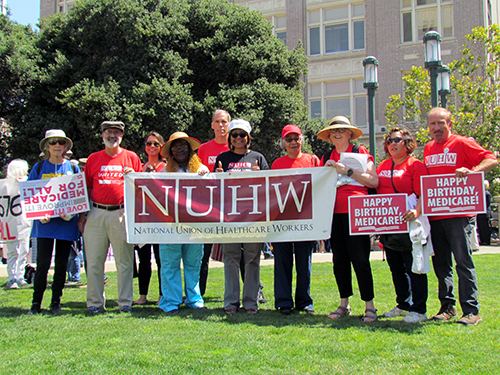 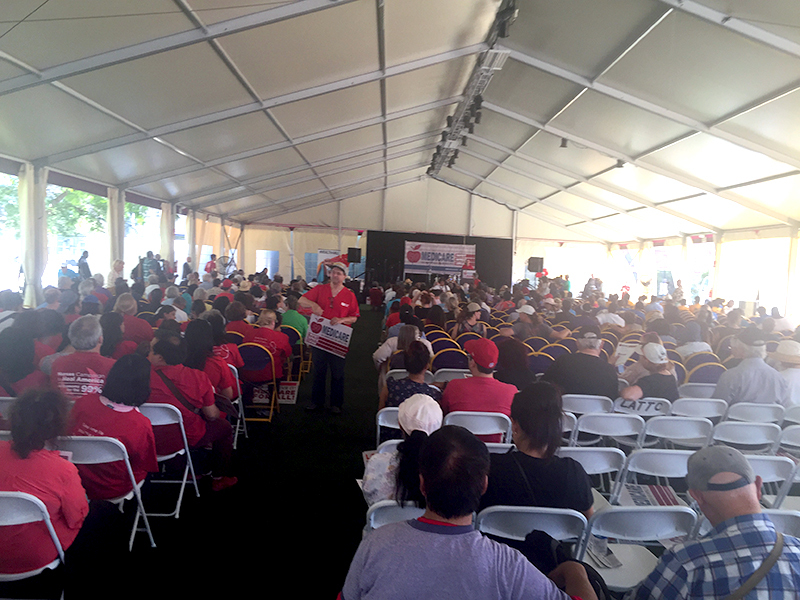 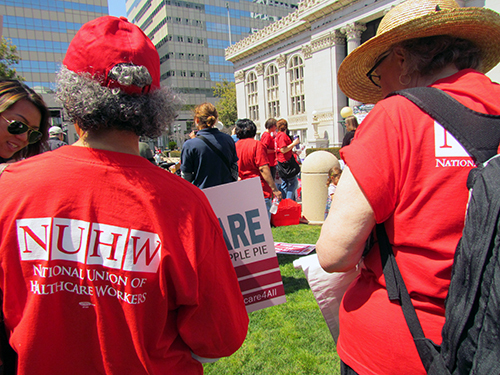 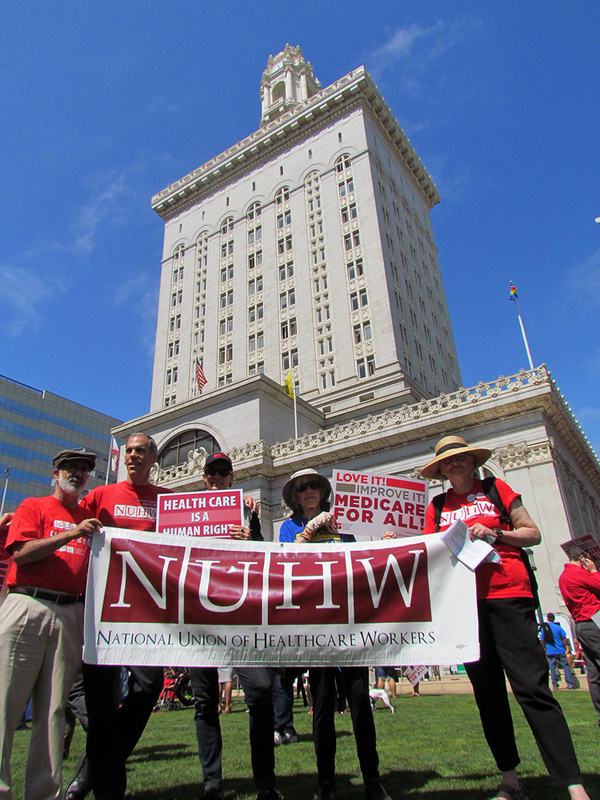 NUHW members in Oakland and Los Angeles marched and rallied in honor of Medicare’s 50th anniversary on Thursday, July 30. 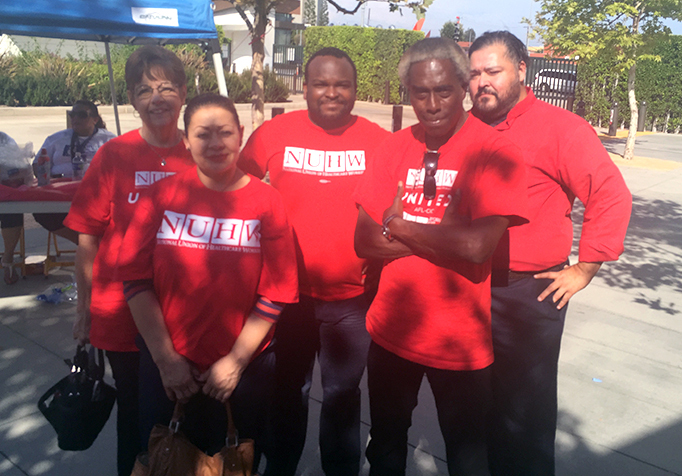 Speakers in Los Angeles included L.A. County Supervisor Sheila Kuehl, Dr. Paul Song (Courage Campaign, Campaign for Healthy California), Congresswoman Hilda Solis, musician Richard Montoya (Culture Clash), and actor Mike Farrell (MASH). 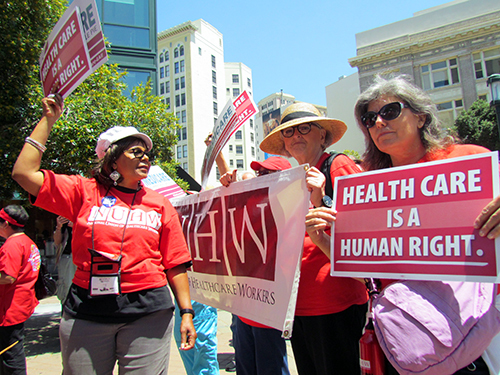 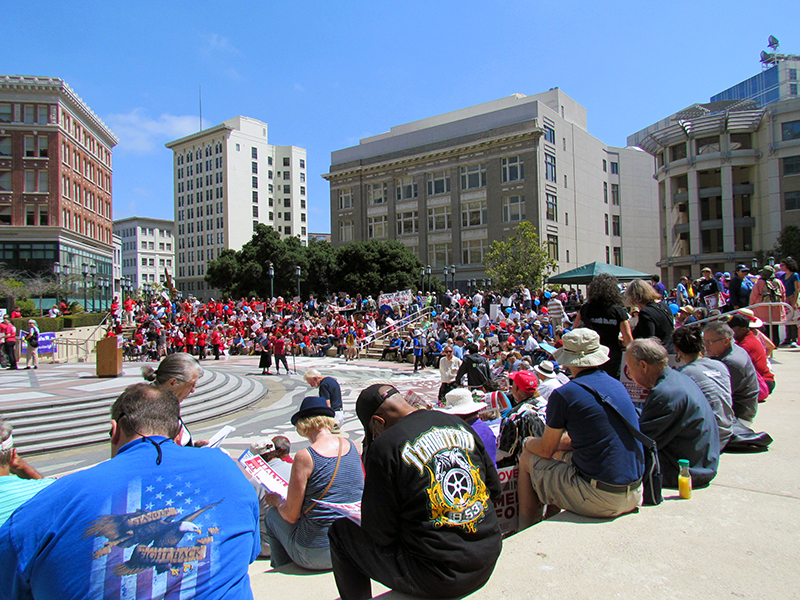 Speakers in Oakland included Dolores Huerta, Tom Ammiano, State Controller Betty Yee, Richmond City Councilmember Jovanka Beckles, California Insurance Commissioner Dave Jones, California Labor Federation President Kathryn Lybarger, and National Nurses United Secretary–Treasurer Martha Kuhl. Expanding Medicare to everyone is the only way to lower the cost of healthcare, end control by the profit-making insurance companies, and win one standard of excellent, equal care for all! 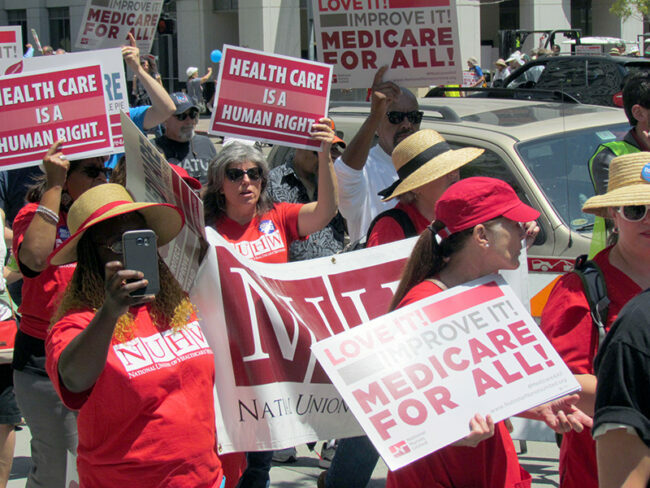 Medicare For All/Single-Payer Healthcare will for the first time allow healthcare workers and unions to have a say in the budgetary decisions of hospitals and other healthcare facilities. 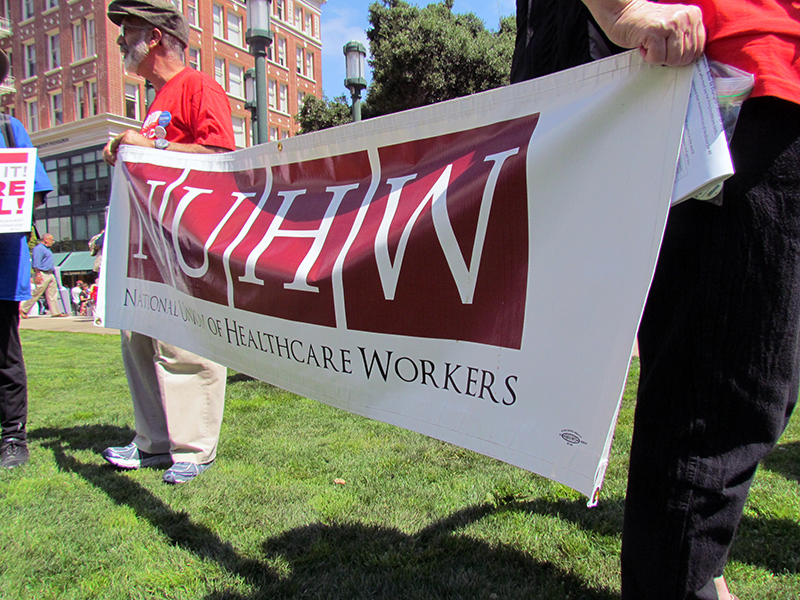 And it will end the collective bargaining crisis workers face in every contract negotiation. 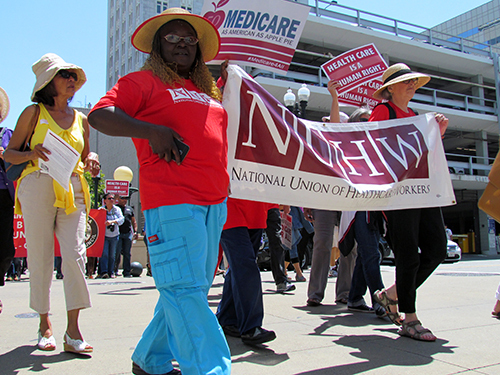 We will no longer have to negotiate with our employers for our healthcare!